Archid Prestige is one of the super luxury apartment being developed by Archid Homes. The apartment is located at the heart of the city Bhubaneswar. 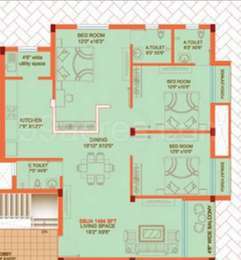 The project offers 3BHK apartments at very competitive and affordable price. It is well planned and is built with all modern amenities. Where is Archid Prestige located? Bhomikhal, a prime residential locality for house seekers in Bhubaneswar. What are sizes of apartments in Archid Prestige? The apartment sizes in the project range from 1494.0 sqft to 1710.0 sqft. 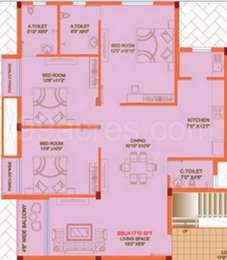 What is size of 3 bhk in Archid Prestige? 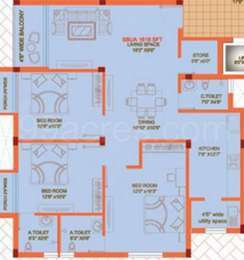 The area of 3 BHK apartments ranges from 1494.0 sqft to 1710.0 sqft. How many units are there in Archid Prestige?There are 16 units available in the project. Does Archid Prestige have gym? The project doesn't have a Gym. Does Archid Prestige have car parking? Car parking is available in the project.